It has been a long hot summer. And if it feels like the summers have been getting hotter, NASA would agree with you. I know a lot of folks were shocked at their July electric bills around here. But hopefully we'll be seeing more pleasant weather in September because we have a very busy calendar of events this fall, including a canoe/kayak gathering and cleanup, Riverfest, our monthly meeting, our quarterly Adopt-A-Road cleanup which we will be expanding with a whole community theme, and our 1st ever plant swap. Zach Jarjoura, Conservation Program Manager (Norfolk) for the Virginia Chapter of the Sierra Club will talk to us about the conservation efforts by the Sierra Club in our area and how folks can get involved. Gardeners and Plant Lovers - Got some extra plants in your garden? Want to switch out that rosemary plant for something new? Got too much bee balm? Well, join us for our first ever Plant Swap at the Indian River Library. Bring a plant and trade it for a different plant. The more you bring more you may take home. Bring Perennial Flowers, Herbs, House Plants, Small Shrubs, etc. There will be a Chesapeake Master Gardener Help Desk at the event to assist in identifying plants and answering other questions. We'll also be doing a Fundraising Sale of miscellaneous gently used garden paraphernalia. Please, no invasive species are allowed, including English Ivy, Privet, Vinca (Periwinkle), Chinese Wisteria, Bush Honeysuckle, Common Daylily, etc. Please include a name card/label it identify you plant(s) if possible. 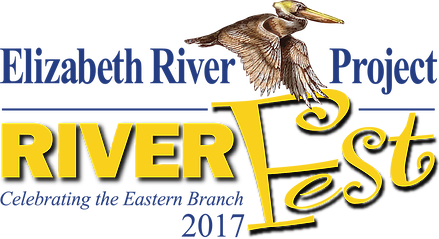 The 2017 RiverFest will be on Sunday, September 17th from 11 am to 4 pm at Carolanne Farms Park in Kempsville, on the banks of the Eastern Branch. FREE Guided Kayak Paddles, FREE Kids Activities, NEW Elizabeth River Scout Patch, Learn what's in our river at the Science Dome, Native Plant Sale, Adopt a River Otter, Become a River Star, Live Music by Lewis McGehee, Mountaintide & The Storyweavers, Food Trucks, Dog Friendly. Come visit the Friends of Indian River table at the event! 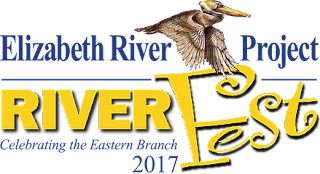 See http://www.elizabethriverfest.org/ for all the details. Congratulation to Lynn Gilbert for being this year's Notable Yard Winner for the Indian River Area. Through September 26th, the Chesapeake Master Gardeners are continuing their Plant A Row for the Hungry program. They are collecting food donations either from your garden or from your pantry on Tuesday mornings at the "Trailer" at the City Hall complex. Click here for more info.